Addition of fuel injection bungs, and extra bolt holes at the outer corners that simulate the 302 Boss heads. 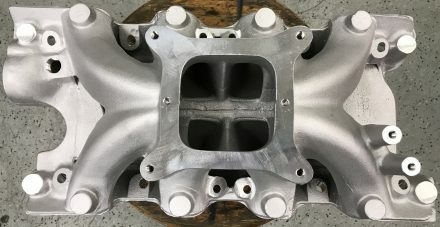 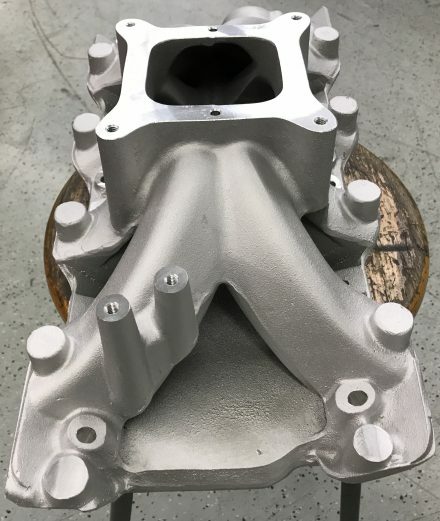 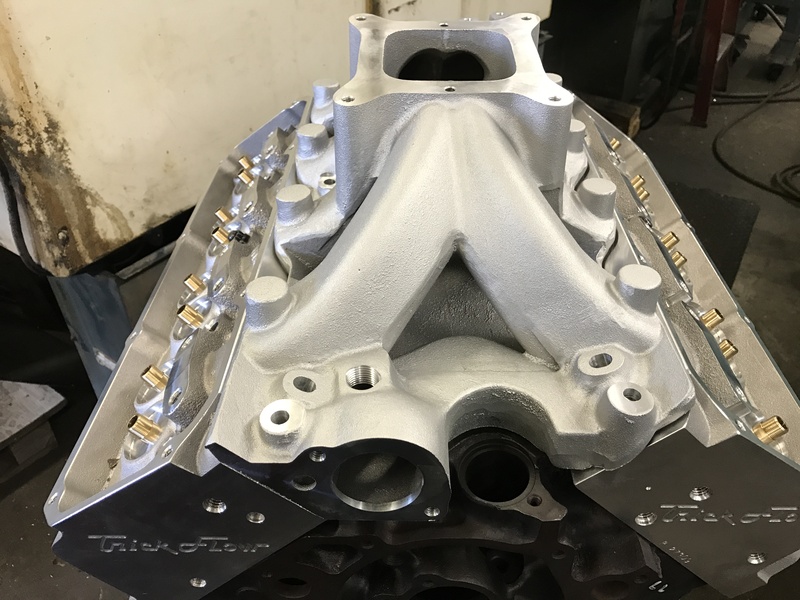 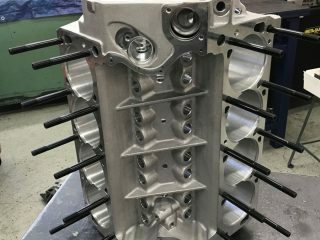 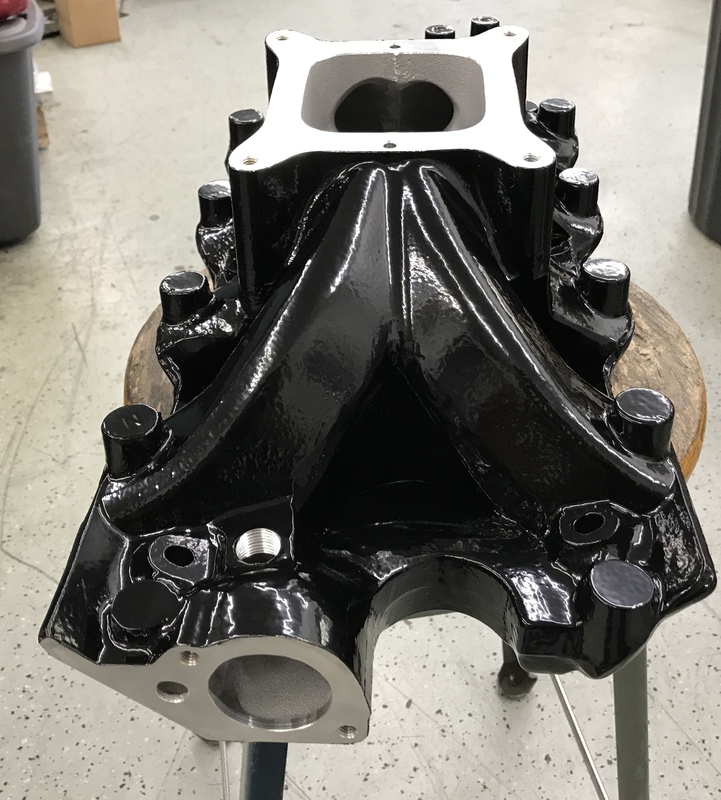 Track Boss 8.2 intake manifold was designed to fit a 302/8.2 deck height block with 2V Cleveland heads. 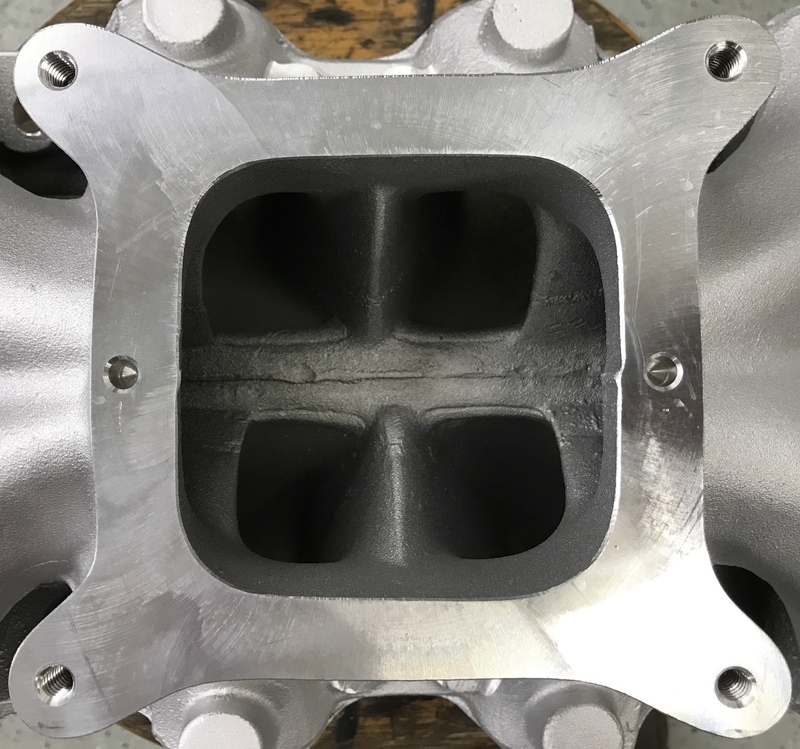 Many have used the intake with 4V head also with success. 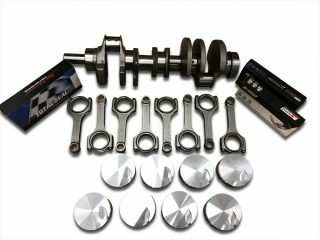 Provisions to add fuel injectors. Extra bolts located in the corners for use with the original 302 Boss heads and similar aftermarket heads. 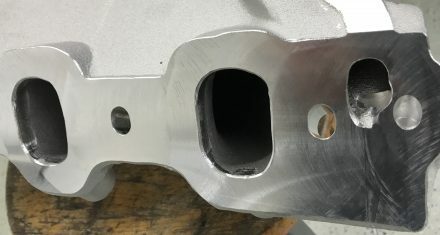 These extra bolt holes are %75 drill for future addition with a simple drill bit. 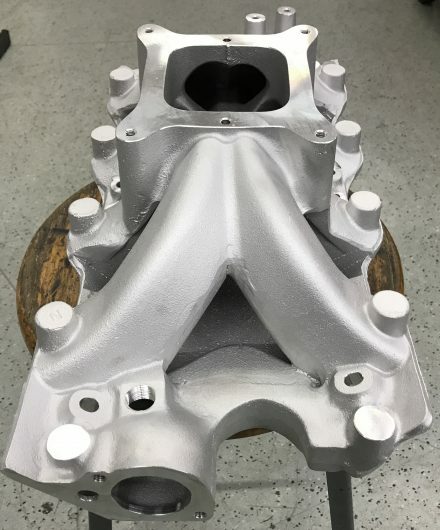 Add $100 for powder coat.